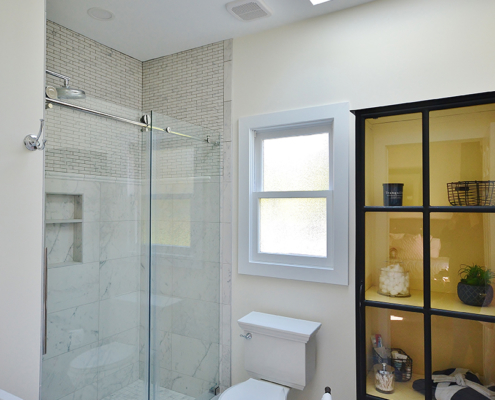 Chester County Kitchen and Bath renovated this hall bath for a fresh look. The client made great selections and what an awesome floor tile. A floating vanity cabinet was installed using Fieldstone cabinetry in the Bristol door with a black painted finish. 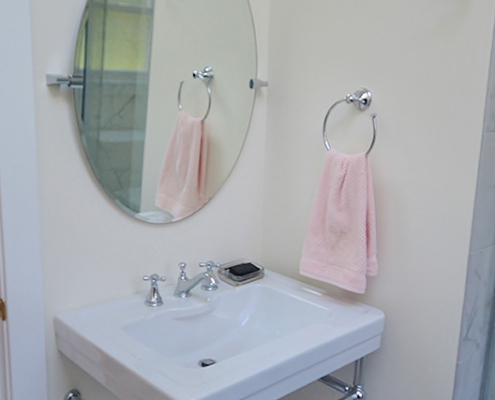 We installed down lighting under the vanity for great accent lighting or a night light. 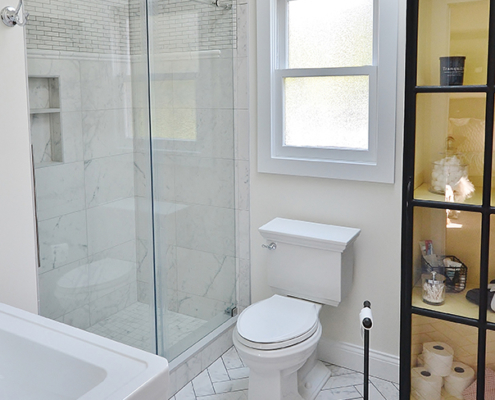 The tub was done in simple white subway tile with just a pop of the floor tile in the back of the built in wall niche. 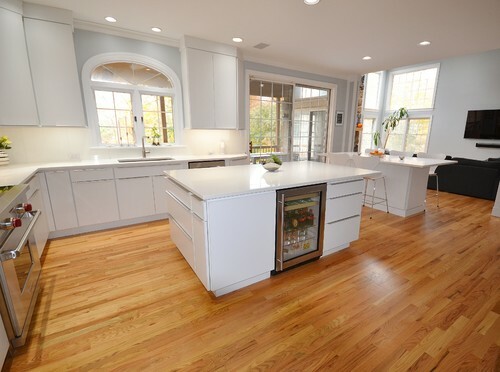 What a great clean look with a touch of vintage in the floor pattern; Love it. 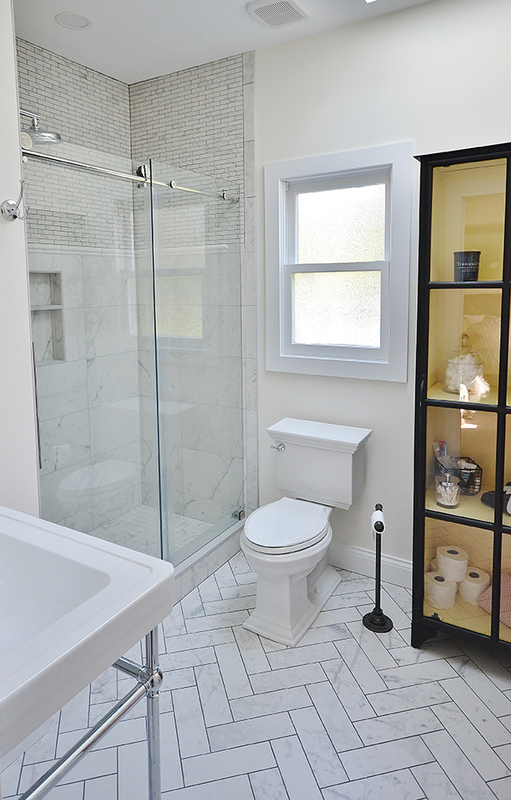 Great tile choices can make a small bathroom really shine. 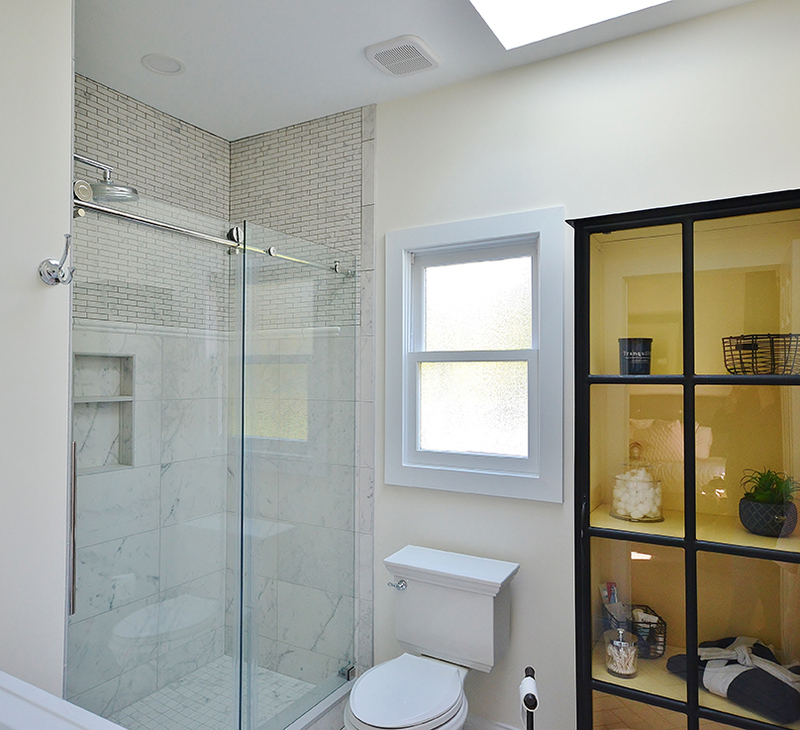 We also renovated a smaller bathroom in this client’s home. The tile work and choices really make this bathroom great. 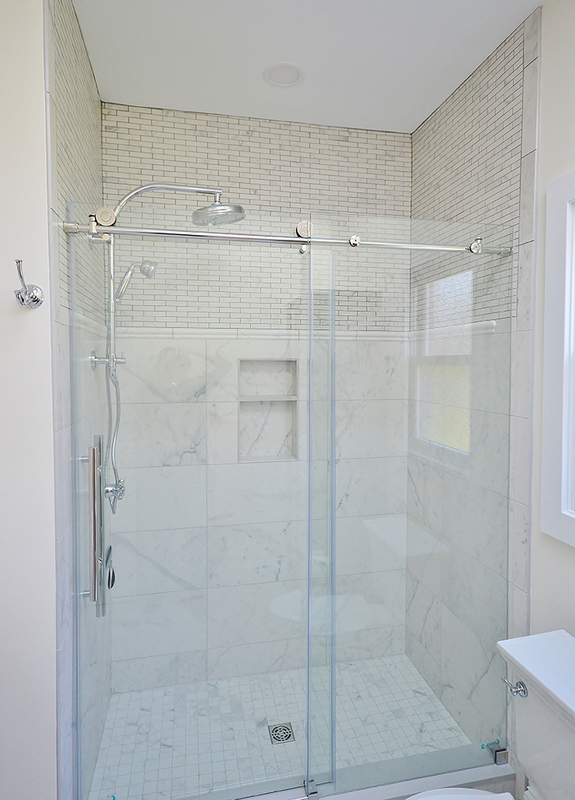 The herringbone pattern of the floor tile and the great tile and pattern choices in the shower make all the difference. 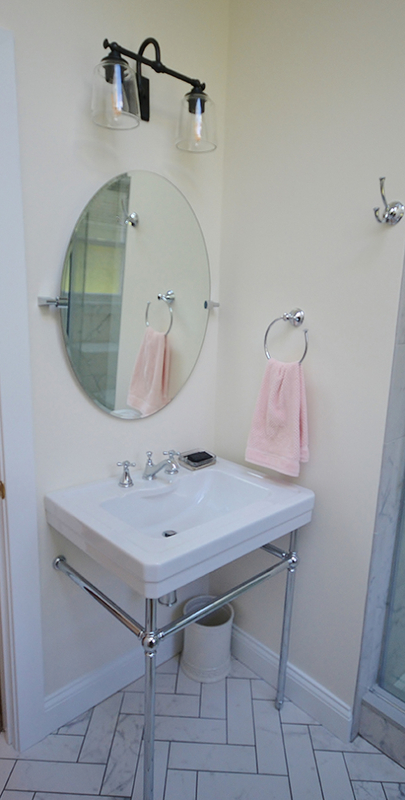 A vintage vanity and great fixtures and accessories complete the total look. 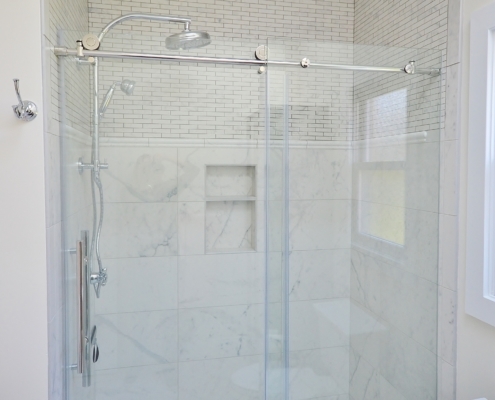 The shower glass by Dreamline is clean and sleek and provides a high end look for less than custom glass. We love Dreamline shower doors; they install easily, function is smooth, and the looks are great.